I LOVE LOVE LOVE LOVE this sauce. I actually stumbled upon the sauce as part of a Chicken Parmesan recipe. And then I died and went to heaven when I ate it, so I decided that I had to recreate it forever and ever and ever. 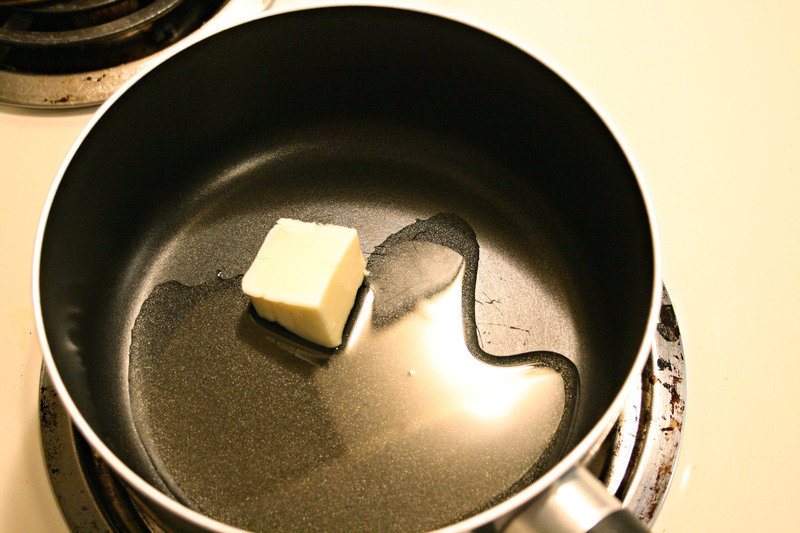 First, melt some butter and oil together. 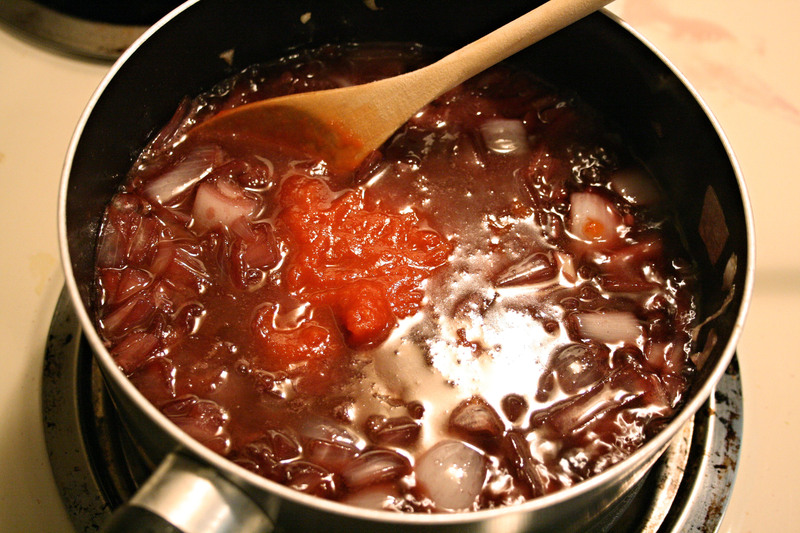 When they get nice and hot and bubbly, toss in a chopped onion and a couple of minced garlic cloves. 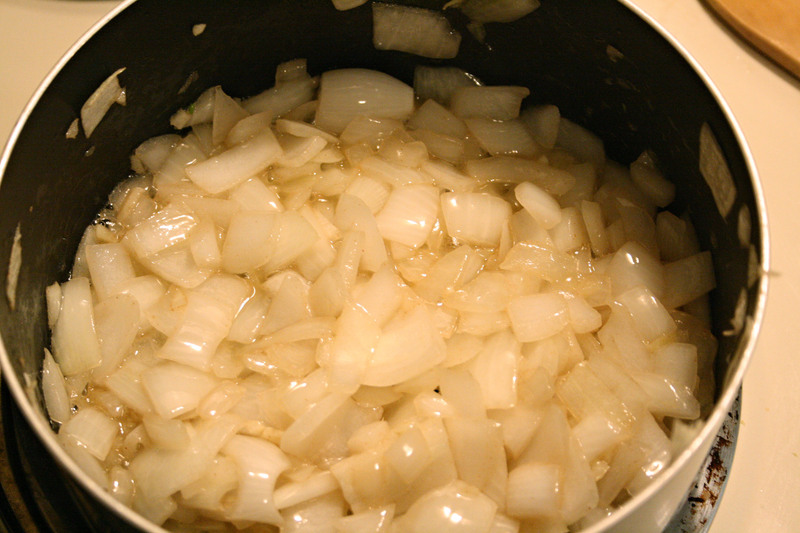 Saute the onions and garlic for a couple of minutes until they get nice and soft and browned. I realize that this is much easier in a frying pan. You’ve been warned. After a few minutes, pour in about 1.5 cups of wine. I prefer to use red because of the fuller flavor, but you can use white as well. 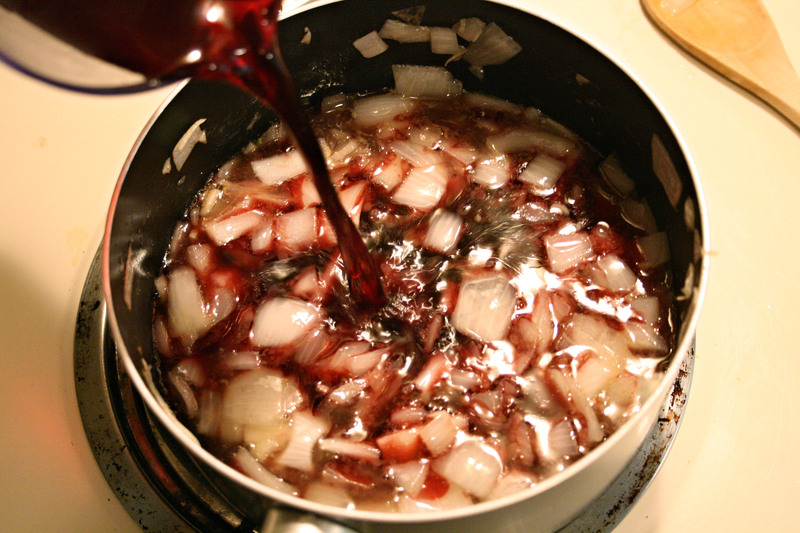 Also, the amount of wine that you use will determine the thickness of the sauce. Let the wine cook down for a few minutes, then add a can of crushed tomatoes. 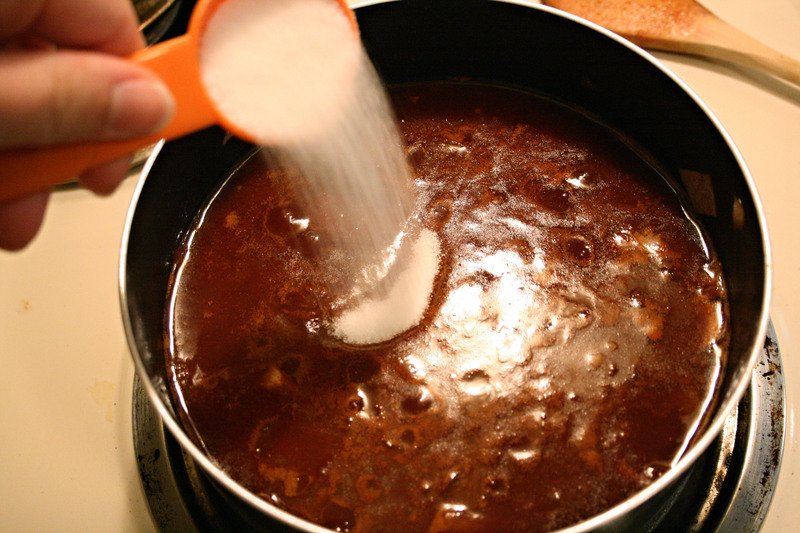 Add about 2 TBS of sugar, salt, and pepper to taste, then let it simmer for about 30 minutes. My sauce was a little bit thin so I added a few spoonfuls of tomato paste and it thickened right up. 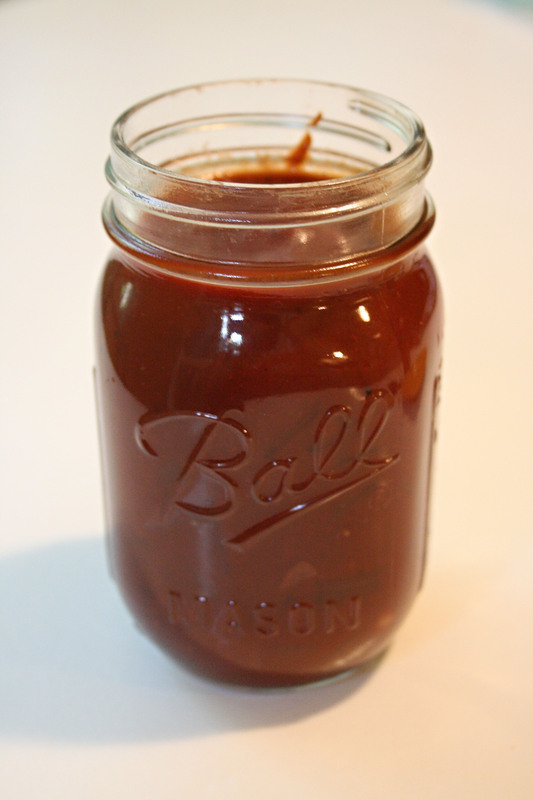 After its done, I store it in glass mason jars and freeze it. See? I told you it was easy! Spread your wings and make it tonight! Oh, and P.S. I think that I smell like tomato sauce now. Oh well, that’s a liveable side effect.